We conduct compressor training classes for our customers at our plant locations in Baltimore and Providence Forge. These classes provide the attendees a broad comprehensive knowledge in the operation and maintenance of air conditioning and refrigeration compressors. 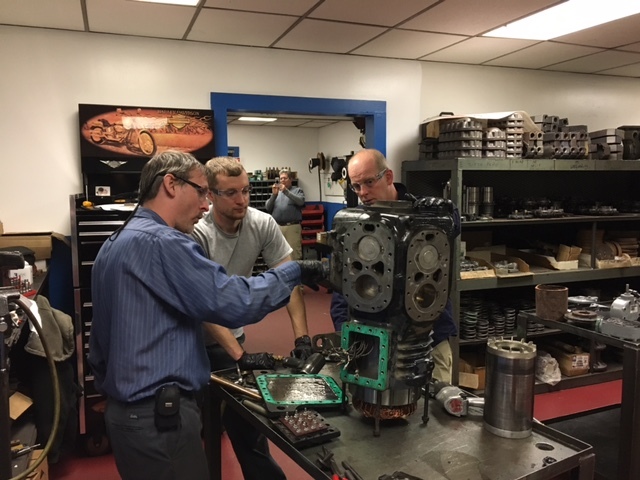 Class covers: Start-up procedures; Failure causes: how to identify & avoid; Demonstration of ASAP testing system; Shop Safety; Field Service covering: Unloaders, Valve plates, Oil pumps, Terminal assemblies, Relief valves; View teardown of failed compressors & analysis. 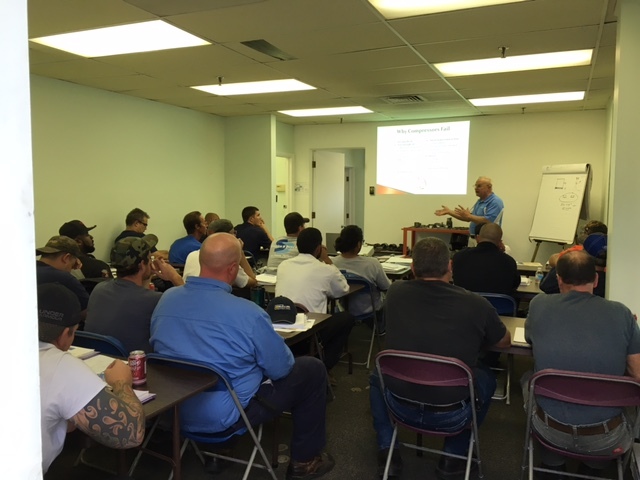 An attendee participation class covering shop safety; valve plates; unloaders, oil pumps, terminal assemblies. The attendees will do hands-on teardown of failed compressors & analysis.